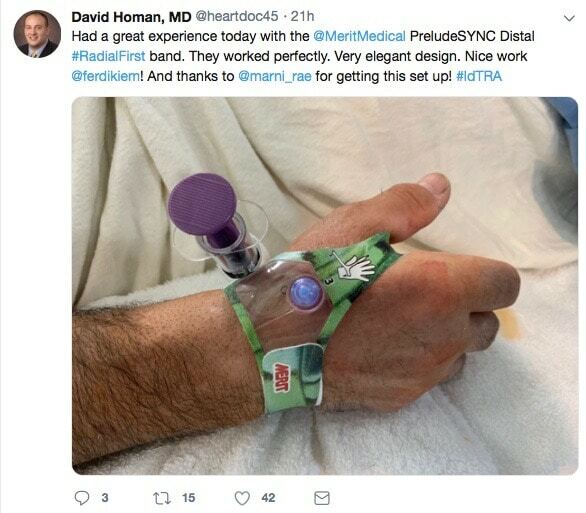 Distal transradial access—also known by its hashtags #dTRA, #ldTRA, and #rdTRA—is taking social media by storm. An alternative site for conventional radial access, distal transradial uses the anatomical snuffbox, a method that’s being widely adopted across several fields. 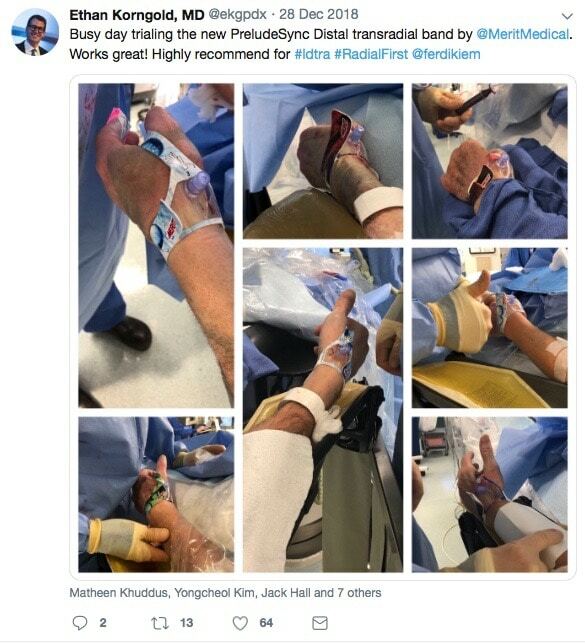 From experiences and preferred products to the latest research and more, physicians are sharing their knowledge through strings of tweets, retweets, and likes—a virtual Twitter buzz signaling that distal transradial is gaining traction both online and off. 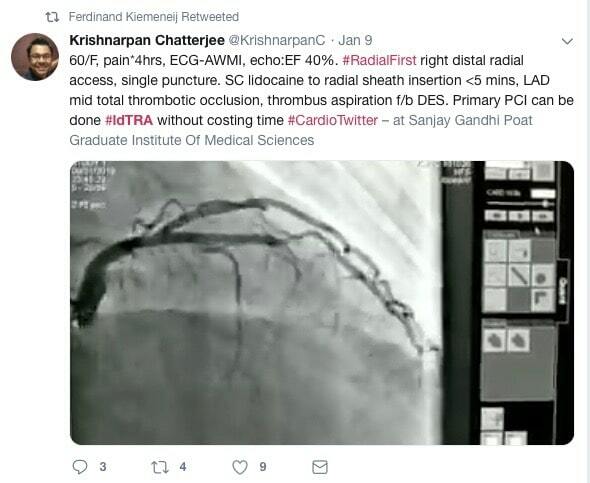 Interventional cardiologists can be seen posting their positive procedural experiences and using cutting-edge distal devices. 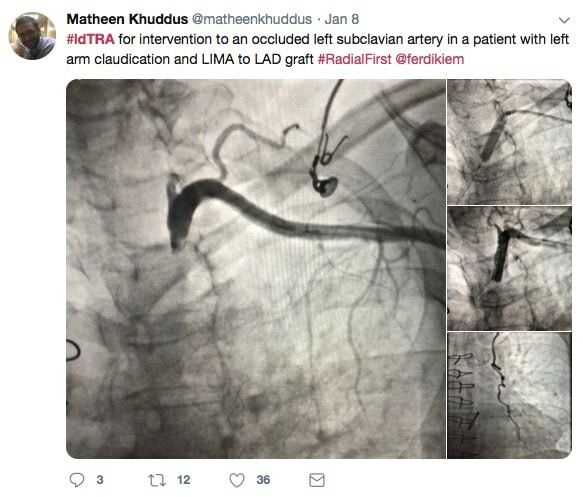 Other physicians are tweeting distal transradial advantages, whereas several, like this neurointerventionalist, are posting published case studies demonstrating distal transradial’s feasibility in their field. Some are using social media to share ideas and seek opinions. 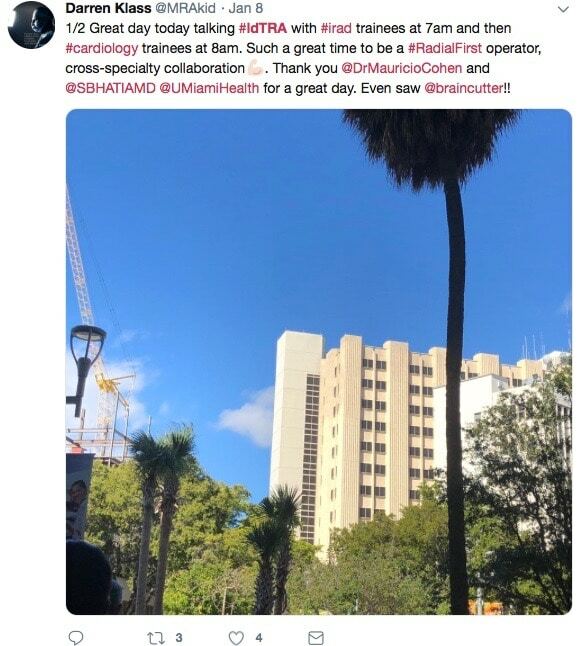 And others log on to talk about their day spent with interventional radiologist and cardiologist trainees and just how cool it is to be an interventionalist during the #RadialFirst era. We couldn’t agree more. Join the conversation. 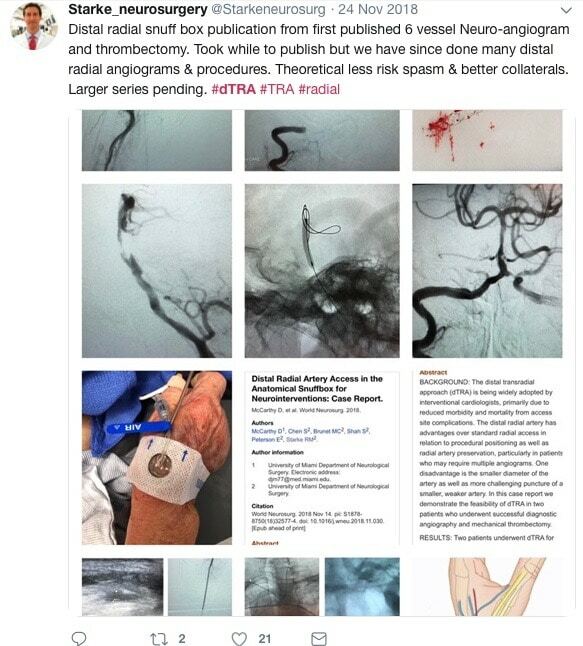 We look forward to hearing about your experiences with distal transradial access. For more information about distal including videos, resources and training opportunities, visit Merit.com/Distal.